Wiseberry Taree has been servicing the township of Taree and the beautiful Manning Valley on the Mid North Coast of New South Wales for over 20 years. Located less than 3 hours north of Sydney, the region covers an area of 3.752 sq km. It ranges from Johns River to the north, south toward Bunyah and west to Nowendoc. 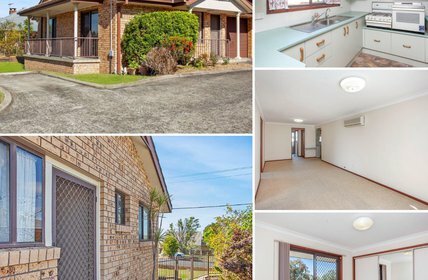 With properties for sale and rent in Taree as well as in the towns of Wingham, Old Bar, Harrington and Hallidays Point, Wiseberry Taree are the local specialists. At Wiseberry Taree our staff are trained and coached on a regular basis on such things as Sales techniques, Negotiation and Customer care, making Wiseberry 'Different in the way we care'. 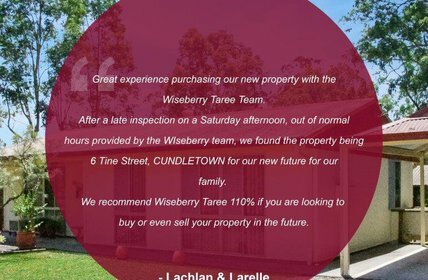 Wiseberry Taree has an excellent record in all areas of real estate. 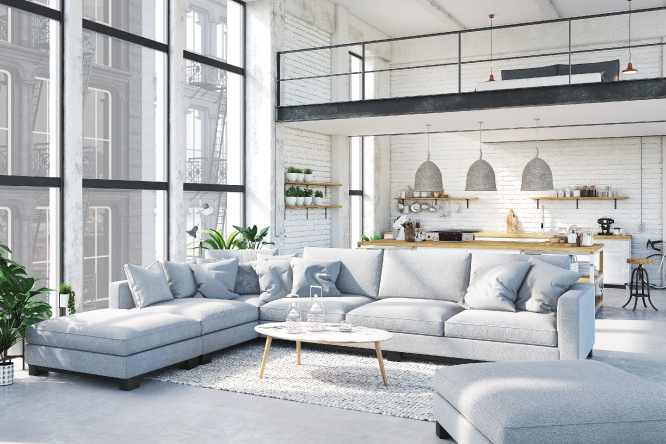 Our sales team offers the highest expertise in residential, commercial, industrial and rural properties and are backed by a Property Management team, to ensure your investment portfolio is in good hands. 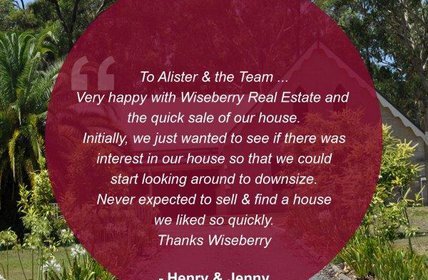 At Wiseberry Taree, our goal is to sell your property for the highest possible price in the shortest possible time and to make your Real Estate experience a pleasant one. 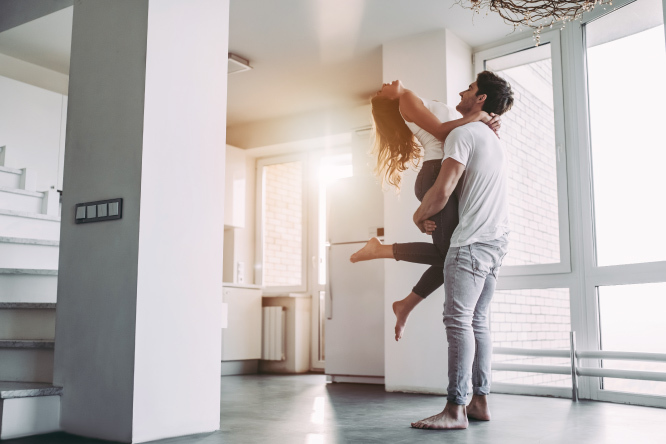 For most people buying or selling is one of the biggest decisions that they will have to make in their lives, so at Wiseberry Taree we aim to be 'Different in the way we care'. 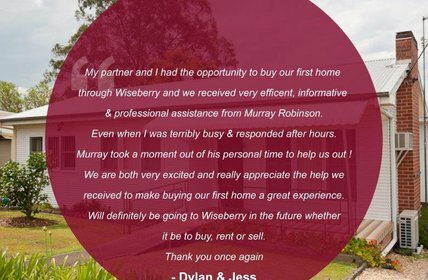 My partner and I had the opportunity to buy our first home through Wiseberry and we received very efficent, informative & professional assistance from Murray Robinson. Even when I was terribly busy & responded after hours. Murray took a moment out of his personal time to help us out ! We would like to thank Wiseberry, especially Laura for helping us with the purchase of our first rental property. The whle process was made easy and smooth. We had the pleasure of dealing with Murray. When our house sold quickly, we couldn't find anything on the market that met our needs. Wiseberry went out of their way to help us find what we were looking for. informed of the feedback from prospective purchasers and negotiations with the eventual purchaser of our property.